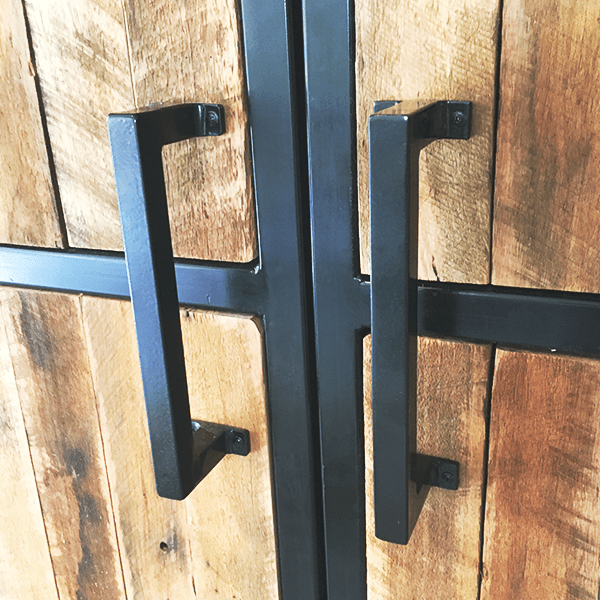 Our premium barn door hardware range is just as customisable as the doors themselves. 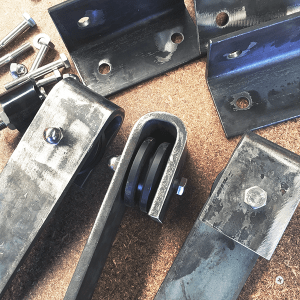 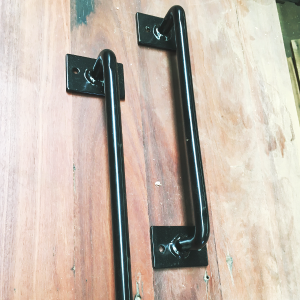 Custom-fabricated rollers and handles can be finished in flat black, raw steel, aged bronze, antique pewter, distressed white, or any paint colour of your choice. 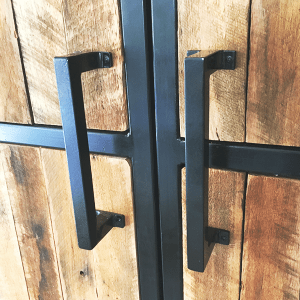 Style options include industrial, rustic and contemporary.